This month, Stir After Hours meets the Utica Capital Series for an extraordinary networking experience. 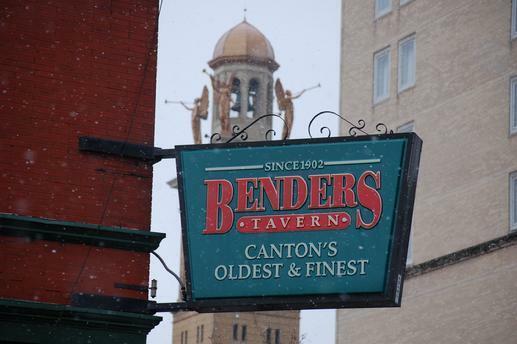 Meet us at Benders Tavern, Canton’s oldest and finest restaurants, located in the heart of historic Downtown Canton on Thursday, January 23. This special edition of Stir After Hours will initiate The Utica Capital Series Presented by Huntington Bank. When you attend, you'll be starting your year off right with a social gathering of people interested in the oil and gas business. Hear briefly from an industry speaker and enjoy culinary samplings from the Bender's menu prepared by Executive Chef Carl Falcone. Bender’s was established at the turn of the 20th century, and quickly become the gathering place for area residents and visitors to discuss business. In fact, when Canton was making their pitch to the NFL in 1962 to locate the Pro Football Hall of Fame in this city, many of the meetings were held at Bender’s. Nationally known for over 100 years to provide a superb culinary experience with exceptional services. Benders is a fourth generation business run by third-generation owner, Jerry Jacob and fourth-generation son, Jon Jacob. Free parking is available on city streets and in the parking lot next to the restaurant.